If there’s one thing thing that I am in danger of having too much of, it’s vintage seating. When searching for the perfect barstools for our island, I was seeing so many single, unique stools that I finally gave up on the idea that they should all match. 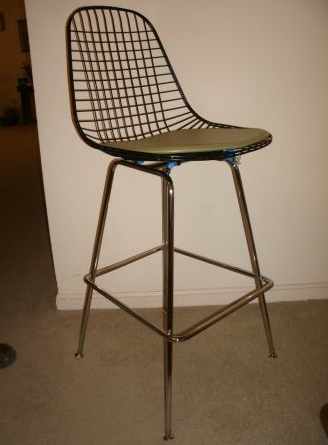 And, besides that, four matching barstools (that aren’t hideous) are next to impossible to find on CL! 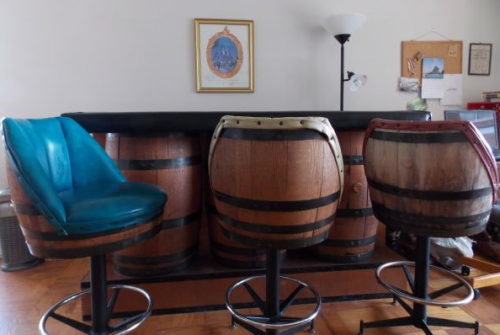 We now have an Emeco stool, a Toledo stool, and a vintage swiveling dentist’s chair all lined up neatly at the bar – and I’m still searching for that perfect fourth addition. The mismatched set always makes for a great story, and each of our friends has their favorite stool which they claim at every visit. Perhaps today’s Listed District finds will help you get started on your mismatched seating collection. Happy Hunting!